As senior program officer of the Nellie Mae Education Foundation, Delia oversees the Foundation’s extensive youth and parent organizing portfolio, in addition to being part of the Foundation’s Systems Design team focused on high school redesign. Delia brings a solid background in social services and community outreach in low-income, immigrant communities, including developing and managing an information and referral center that responded to the needs of a large immigrant community. While at Head Start, she built deep relationships with community members by advocating on their behalf and led a highly successful Father’s group to ensure that fathers were engaged in their children’s education. Other work includes designing and conducting parenting programs for families living in homeless shelters, and working as a home visitor for an early literacy program. Early in her career, Delia worked as a social worker for Navy families and was responsible for running a program that provided counseling to submariners and their families. Delia is a Board member of Associated Grant Makers (AGM) and the Funders’ Collaborative on Youth Organizing, and on the steering committee of Grant Maker’s for Education’s (GFE) Equity Impact Group. 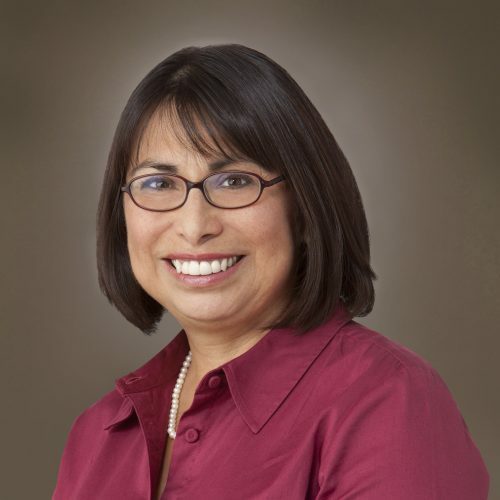 She is part of the first-class of Latinos for Education’s Board Fellowship program. Delia entered philanthropy as part of Associated Grant Makers Diversity Fellowship Program, a program dedicated to bringing more people of color into the field. Delia is part of the Foundation’s Speaker’s Bureau on Innovation in Education and enjoys representing the Foundation and its grantees at public convenings. Delia holds a bachelors in sociology and a masters in social work from the University of Pennsylvania.